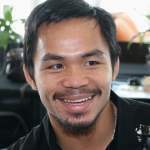 2009 promises to be another exhilarating year for Philippine boxing. Every name fighter in the 135 to 147 lb. weight range has his sights set on Manny Pacquiao. He has a wide array of exciting match-ups to choose from. Filipino boxing enthusiasts also have their sights set on other boxers who have the potential to replace Pacquiao as the National Fist. Pac Man just turned thirty years old. He cannot go on fighting forever. He also has political plans for 2010. But is there really someone out there? Pancho Villa and Flash Elorde are the only two Filipino boxers in the International Boxing Hall of Fame. There is a 37 year gap between Villa’s 7th round KO of Jimmy Wilde and Elorde’s 7th round KO of Harold Gomes. There is a 31 year gap between Elorde losing his title to Yoshiaki Numata and Pacquiao winning his first world title by knocking out Chatchai Sasakul in 8 rounds. Will it take more than thirty years for Filipino boxing fans to see greatness again? The present crop of Pinoy boxers has benefited from Pacquiao’s fame in the U.S. Rey Bautista and Z Gorres have caught the eye of Golden Boy Promotions. Unfortunately, it is back to the drawing boards as far as Bautista’s career is concerned. The jury is still out on Gorres. He has a close, controversial title loss to Fernando Montiel and held the feared Vic Darchinyan to a draw. Whether he can elevate himself to a higher level remains to be seen. There were also Filipino boxers fighting in Japan like Randy Suico, Rodel Mayol and Yukka Gejon who came up short when they had their world title shot. Malcolm Tunacao’s title reign was unluckily very short. Gerry Penalosa is now enjoying his second world title but he is still knocking on the door as far as a big money Vegas fight is concerned. Other reigning world titlists like Nonito Donaire and Donnie Nietes need formidable rivals or an exciting trilogy to boost their careers. I remember writing an internet article two years ago entitled “The Next Wave” where I discussed boxers who might develop into “export quality” fighters and make a big splash abroad. I recall mentioning names like AJ Banal, Florante Condes, Rey Labao and Robert Allanic. It was only Condes who won a world title but his reign was brief and he did not have a big fight in the U.S. Fans will be looking forward to Banal making a comeback and redeeming himself in 2009. Sportswriters and fans have been looking at the likes of Milan Melindo, Marvin Sonsona, Anthony Marcial and Bernabe Concepcion. But they are still prospects. On the negative side, addiction to Pacquiao’s success made many Filipino sports fans whine and produce insults every time a Filipino boxer loses in a high profile bout. The likes of Bautista and Banal have been the recipients of these derisive comments. If only we can set the same high standard and intense scrutiny towards the candidates that we vote for during elections, our country will definitely be a better place. Pacquiao has indeed raised the standard in Philippine sports. His work ethic and devotion to training is something every Filipino athlete should emulate. It is no longer enough that an athlete or boxer wins a world title. He has to be a superstar, earn an obscene amount of money and reach Hall of Fame heights. It is only billiards legend Efren Reyes who can approximate the Pacman as far as a career resume is concerned. Our country cannot wait for another thirty years when Pacquiao decides to retire. Whether you enjoy boxing or not, you have to admit that it has distracted us from the political mudslinging, increasing unemployment, rising prices, natural and man made disasters and the continuous fighting from the various rebel factions.